We are open to the public for wine tastings without an appointment from 11am to 5pm daily, with last tasting poured at 4:30. Whether you are new to wine or an aspiring sommelier, our wine specialists are happy to share our wines with you and answer questions. 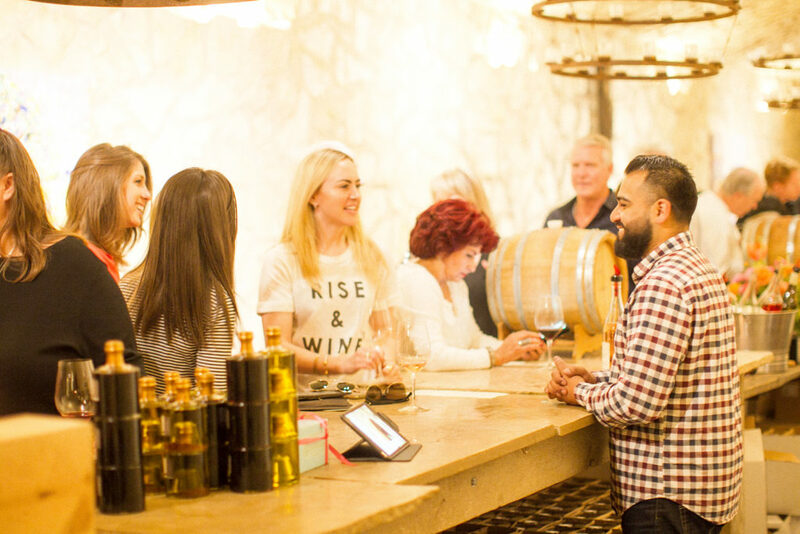 Enjoy Sunstone wines by the glass, or explore our best selections with our $20 Tasting flight. To provide the best guest experience possible, we ask that groups of 8 or more call us ahead of time to make a reservation. Looking for a more private experience? You can also make a reservation online for one of our Signature Experiences.